May is my favorite month. It’s the month of strawberry season, days that last until 8PM, perfect temperatures for morning runs, my birthday and of course, Mother’s Day. So I made us the most decadent brownies for all of life’s celebrations this time of year. Triple chocolate vegan brownies; studded with cocoa powder, bittersweet chocolate, chocolate chips and chocolate ganache frosting. Chocolate on chocolate. On chocolate. Yup, they are as rich and delicious as they sound. We invited our best parent friends over for dinner last week to do what we do best: talk about our babies, drink and eat. It’s literally what my business card should read these days. She is really good at talking about her son, making delicious food, eating said food and did I mention talking about her son? I used to be talented. Now, I’m just a mom obsessed with her child. I’m OK with this. I’ve decided that life is already moving at a break-neck speed and I don’t want to look back and feel like I missed the big things. And by the big things I mean all the little things. BL and I literally end each day looking at my phone with all of the photos and videos that were captured over the past 24 hours. I made these brownies for our friends! And, after we polished off a few rounds of lentil and tofu tacos, we dug into these. Triple chocolate brownies! Because life is worth celebrating. It’s worth eating desserts that have way too much sugar in them sometimes. 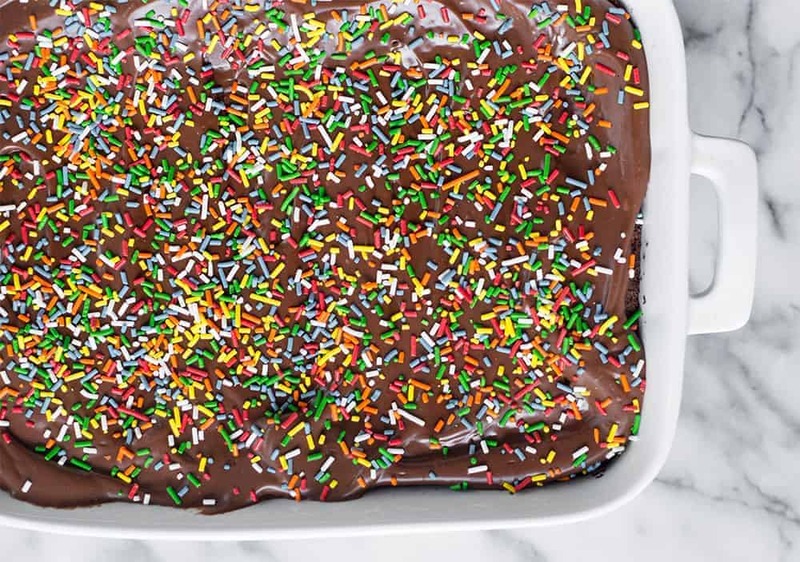 It’s for putting frosting on those sugar-filled brownies and then still adding sprinkles on top of that. My life is too short to be stressed over every calorie and food choice. Sometimes, you just gotta have the brownie. I take my brownie craft pretty seriously. I’ve been making brownies since I was in college and well, it’s sorta my thing. I admit that I’m not a great baker but brownies? Brownies I can do. I’ve decided it’s the dessert that I’ll perfect; the dessert that I bring to most potlucks and gatherings. The dessert that friends expect when I show up to their houses. While my brownie recipe was perfect and requested often, it also wasn’t vegan. Which was OK. I’m not fully vegan by any means but I really wanted to nail the vegan brownie. I wanted my brownies to not only be requested by friends over and over again, but for everyone to be pleasantly surprised when I casually drop that they are vegan. I don’t know if I’d say these brownies are complicated, but they certainly aren’t dump and bake. They take a little bit more work, but like all good desserts, it’s totally worth it. 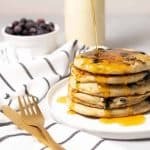 Make them then share with someone you love. 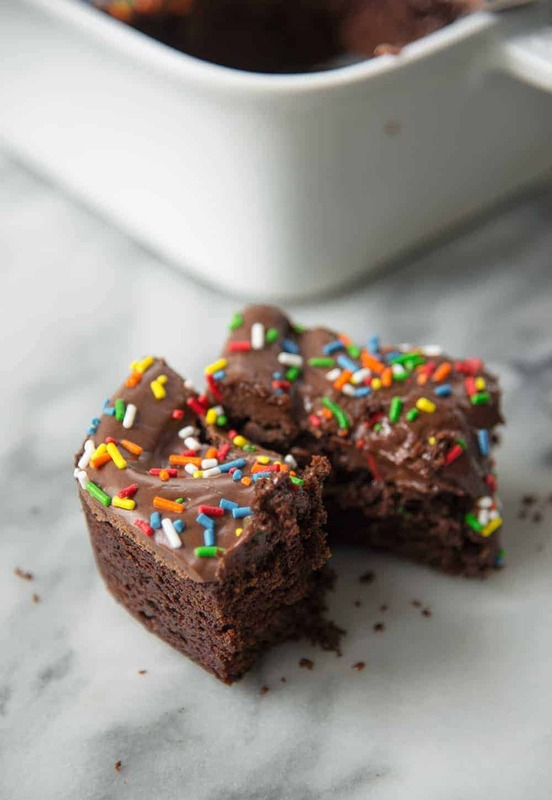 Triple Chocolate Vegan Brownies! 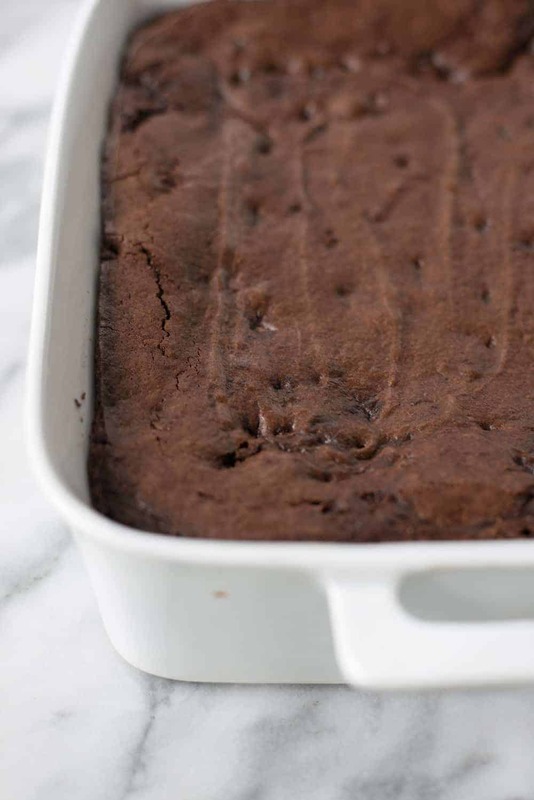 The perfect brownie for birthdays, parties and potlucks. 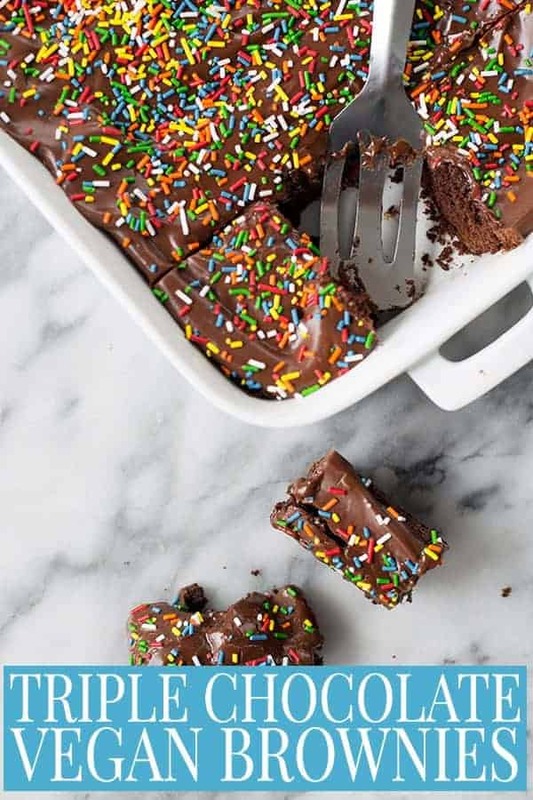 Triple chocolate brownies with chocolate ganache frosting and sprinkles. Preheat oven to 350 degrees F. Lightly spray a 9×13″ pan with cooking spray and set aside. Or, you can line the pan with foil, creating an overhand to lift the brownie out of the pan after coking. In a medium bowl, whisk together the flour, baking powder and salt together. 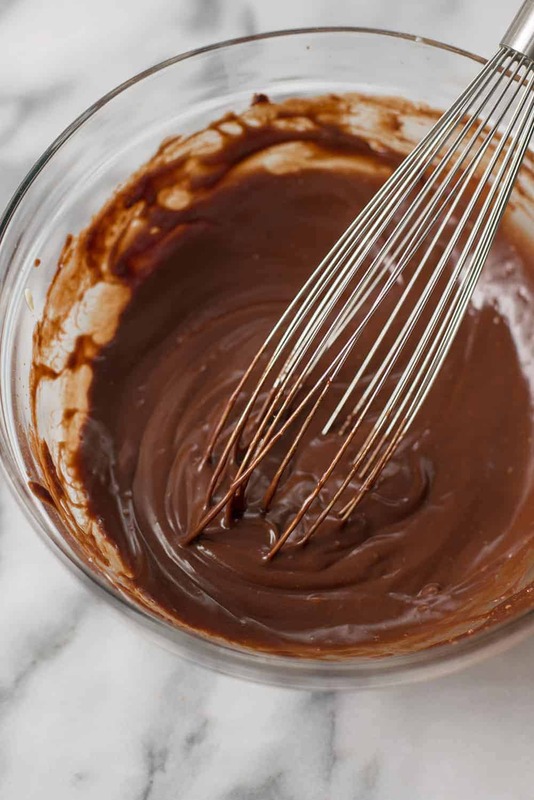 In a separate large bowl, whisk together the boiling water, unsweetened chocolate, cocoa powder and espresso powder and whisk until chocolate is melted. Add in the sugar, oil and vanilla extract. Add the flour mixture to the chocolate bowl and stir together until just combined. Fold in the chocolate chips. Place the batter into the prepared pan and for ~35 minutes, or until toothpick inserted into the center comes out mostly clean. Remove pan and let cool for at least 2 hours. When almost ready to eat; make the frosting! Heat almond/soy milk either in the microwave or in a saucepan until just warm. Transfer to a glass bowl (if not already in one) and add in the chopped semi-sweet chocolate and butter. Cover with a towel and don’t touch! Let the heat of the milk melt the chocolate and the butter. Remove the towel after 5 minutes and stir the mixture to just melt the chocolate, then beat the mixture together until butter is completely absorbed. You can use a stand mixer or a whisk- just be prepared for a good arm workout! Add in 1 cup of powdered sugar and whisk together until powdered sugar is absorbed and the mixture is smooth. If it’s too thin, add in more powdered sugar and beat again until smooth and glossy. I used about 1 1/2 cups powdered sugar total. If the mixture is having a hard time beating together, place the mixture in the fridge for 10 minutes, then try again. 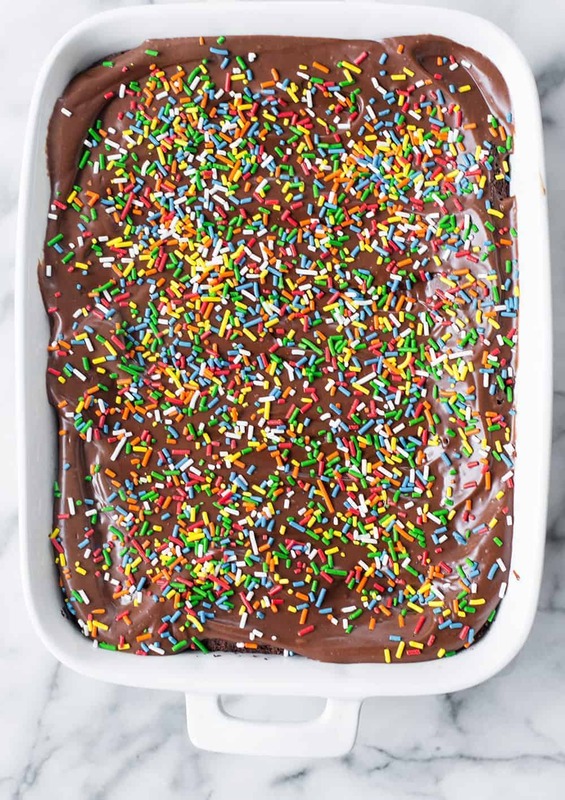 Spread the frosting over the cooled brownies, then sprinkle on sprinkles, if using. Let cool until the frosting hardens, about 15 minutes (I popped it into the freezer so I didn’t have to wait). Slice, serve and ENJOY. These are so, so good. 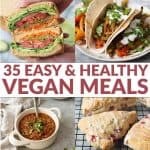 *Most unsweetened chocolate is naturally vegan, though double check to be sure if that’s of interest to you.